The 1860 Band were named after the 1860 Tavern in Wellington, where they were the Saturday afternoon resident act. Formed by Rodger Fox (The Rodger Fox Big Band, Quincy Conserve) the band also included Dave Pearson and other Quincy Conserve members Peter Blake, Billy Brown, Geoff Culverwell and Martin Winch (Espresso Guitar). John wrote a protest song about the loss of houses for the building of Wellington’s new Motorway. Tree Records approached Aardvark in order to record it. They appeared on “Studio One” in 1972 and were regular performers at the James Cook Hotel, where they had been resident from when the hotel first opened, and also at the Settlement Cafe. As well as playing their own music and covers, they used to back visiting artists from out of town. One of the many visitors was Craig Scott. 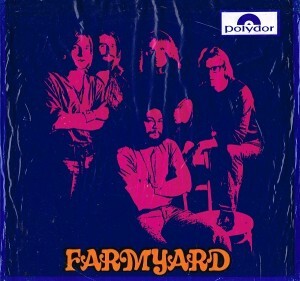 Aardvark started out with John Trethewey as their bass player in 1971. Between 1971 and 1974 the only personnel to change were their bass players. In 1972 Clint Brown replaced John Trethewey. Clint had been with Rebirth and went on to play with ‘Rockinghorse’ and more recently he has been in ‘The Warratahs’. 1973 saw Clint leave and Paul du Fresne take over. After Paul left, his place was taken by Peter Don. Paul du Fresne was a former member of the Webb. He played on the only single Aardvark released, in 1973. It was the protest song “Motorway Madness” backed with “It’s Too Late”. Paul also played bass on Anderson and Wise’s song “Yo Yo Mac”. After Glo were a Wellington teenage band that seldom performed live but had a big following with their In-Crowd. They made two singles for Tree Records before an accident brought plans to what turned out to be the end of the group. The two singles were “I Shall Be Released”/”When You Go Away” and “If I Were A Carpenter”/”Keep The Customer Satisfied” in 1971 and 1972. Anderson and Wise were a Wellington pop vocal duo comprising of Ted Kaptiklis and Tony Kaye. Their first single for Ode Records was the self titled “Anderson and Wise” backed with “Yo Yo Mac” recorded in 1972. The “Yo Yo Mac” song featured Ted and Tony, with Paul Du Fresne from Aardvark on bass, Dave Fraser on drums and Midge Marsden of the Breakaways on harmonica. Their second single was “Boy From Dundee”/”Quiet Song” recorded in 1973. Anna Leah was from Birmingham, England where she sang in an all girl group, before emigrating to Wellington. She was quite a successful pop and jazz singer. Her first recorded output came in 1973 when she shared one side of a single on the Strange label with a song called “Broken Blossom”. 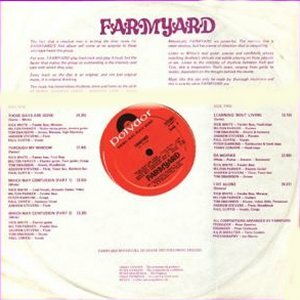 That particular song also appeared on a compilation album called “Celebration Part 1” from Strange Records in 1975. In 1973 she switched to EMI and started to release a number of singles. Her first for EMI had been an entry in the 1973 Studio One Television competition. It was called “Love Bug” and back with “1-2-3-4-5” it was very popular as a kids song and reached number 3 on the National charts. The next two singles in 1973 didn’t do any good. They were “Christmas Birthday”/”Christmas Song” and “Blacksmith Blues”/”Mack The Knife”. She was back in the charts in May 1975 with a song called “Wahine” backed with “The Importance Of You”, making it to number 16. “Wahine” was a tribute song to one of New Zealand’s worst disasters. The ship “Wahine” sinking just inside the heads to Wellington Harbour during a severe storm, resulting in a large number of people drowning. The next single in 1975, “Silly Song”/”Wave The Banner” failed to chart. 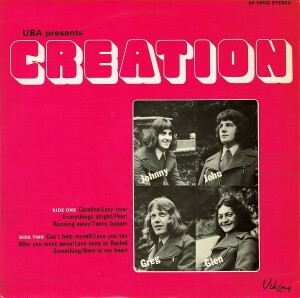 Two final singles came out in 1976 along with an album called Reborn”. The singles were “Climbing The Wall”/”Reborn” and “Be A Child Again”/”Brand New Day”. After that she moved to Australia. Drummer Tom Swainson had just departed Farmyard, and saxophonist Dennis Mason came from the bust up that had recently occurred within Quincy Conserve. Guitarist Harry Leki had just returned from Sydney, after Simple Image folded, and singer Andy Anderson, was also returning from Sydney, after a two year stint with the musical “Hair”. Andy Anderson, real name Neville Anderson, was from Naenae in Wellington. He was a drummer and started out playing with Hutt Valley bands, Mike and the Beavers, the Skyrockets, and the Corvairs. In 1964, at age 16, he took his drum kit and headed for Sydney. Using the name Andy James, he reformed version two of the Australian band, the Missing Links. By now, it wasn’t his drums that provided him a living, it was his voice. By August 1966, they had burned themselves out, with Andy moving to Melbourne to form Running Jumping Standing Still. Andy quit this band in January 1967 and formed the short-lived Andy James Asylum. In 1968 he joined up with Action, who were now in Australia, for a short time. A brain haemorrhage in 1968 slowed Andy down, but he returned to performing when he took a part in the 1969 Sydney production of the American tribal-love rock musical “Hair”. Unsung, unrecorded and definitely underrated, Arkastra was one of the better Kiwi bands of the early 70’s. Not surprisingly, they didn’t last long but those converted to their high energy performances caught their every gig. Not the type of band to sit down and write their own songs, Arkastra merely took what they wanted and adapted it to their own purposes. There were few groups who boasted such an electric repertoire, featuring anything from 12-bar blues to Baby Huey to Frank Zappa. Harry Leki, his Fender Strat held together by string and sticky tape, had developed into an explosive guitarist since his last New Zealand gigs with Simple Image, and Dennis Mason was just beginning to show the traces of brilliance for which he would become renowned. Blake, a classically-trained pianist, was a rare find, and his mate Paul Read slotted in well with Tom Swainson’s drumming style, and over the top of it all howled the voice of Andy Anderson. Apart from a self-promoted and well attended Opera House concert and the occasional University gig, Arkastra only played at two venues in Wellington, Lucifer’s and the Downtown. They were offered a headlining appearance at a one-day festival at the Gore Racetrack. They followed this with a number of appearances at various gigs in the South Island before heading back to Wellington. Arkastra’s very next gig was at the Great Ngaruawahia music festival in January 1973. They secured a key Saturday night spot, which saw the band so far out of it that during White Trash’s “Fly Away”, Swainson flew away and played along to a totally different song. The audience didn’t seem to notice, responding with calls for an encore. When, in late February 1973, Lucifer’s finally closed its doors, Arkastra was offered a well-paid residency at the Downtown Club. The new proprietor had noted the huge turn-outs at Lucifer’s and believed this was the ideal band to boost his flagging patronage. They weren’t however, and just two weeks after moving to their new residence, Arkastra was out of work and decided to call it a day. Beaver singing with Blerta. Bruno Lawrence in the foreground. Beaver was born Beverley Morrison in 1950. She was the daughter of well-known piano accompanist, John Morrison and resided in the Hutt Valley. Bruno Lawrence first met her at the Wellington Musicians Club where she had been invited to sing on a few occasions. Although rather inexperienced, Bruno was impressed and he invited her to join Blerta as a singer. He wanted her to sing and dance and to also perform some numbers with Corben Simpson. Beverley was a bit overwhelmed by the offer and couldn’t resist in particular the idea of sing with Corben, a familiar singer on the hit-parades. Rather than use her real name she chose to become known as Beaver, her childhood nickname. Beaver was part of the Blerta experience from 1971 to 1973, but chose not to go on the Australian leg of the tour which lasted through to the end of 1974. 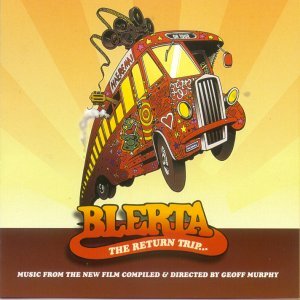 During the last stages of Blerta in Australia, an album had been recorded in Sydney for EMI, with Renee Geyer providing lead vocals. When a single was released and began to attract interest, it was found that Renee had already signed for RCA, so the record had to be withdrawn from sale. When Blerta returned to New Zealand, EMI superimposed Beaver as the lead vocalist for a re-release. Despite Beaver’s vocal qualities, she was not a soul singer like Renee, and consequently record sales were not good. Beaver re-joined Blerta for their final tour of New Zealand during early 1975. 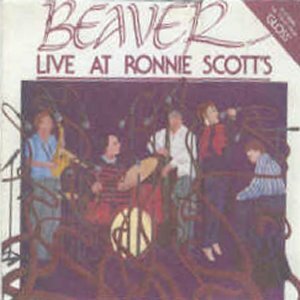 After Blerta, Beaver formed the Beaver Band, and throughout 1976 and into 1977, Bruno drummed for her. 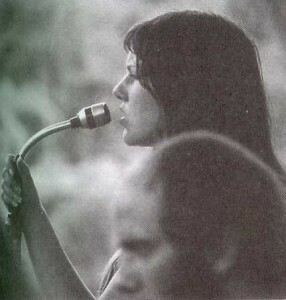 Beaver spent most of her time as a session musician and backup vocalist for many leading stars. 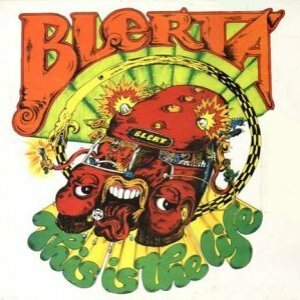 In 1975 a multi-media outfit in the tradition of Blerta was formed, called Red Mole. Beaver worked with them on various occasions. Around the same time, Midge Marsden formed a group called Country Flyers. In 1977 they teamed up with Red Mole to perform at the same venues. Both moved to Auckland in September 1977 and took up residency at the Ace Of Clubs. In the new year, Red Mole returned to Wellington, before heading to the US, but the Country Flyers stayed with Beaver as their guest vocalist. They released a single “Skin Deep”/”Say Master” in 1978 as Beaver and the Flyers. Members of the Flyers at various times consisted of Midge Marsden (Guitar/Vocals), Neil Hannan (Bass), Richard Kennedy (Guitar), Bud Hooper (Drums), Martin Hope (Guitar/Vocals), Jim Lawrie (Drums), Paul Clayton (Guitar), Rob Winch (Guitar) and Murray McNabb (Keyboards). In mid 1977 a band called Jimmy and the Jets had emerged. 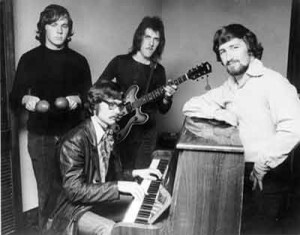 Its members were Jimmy Hill on drums and vocals, Ron Craig on guitar, Peter Woods on keyboards and Paul Woolright on bass. In 1978 they were joined by Josie Rika, but she was subsequently replaced by Beaver in July. Throughout 1978 and 1979 the band’s name was Woody, after their keyboard player. In 1980, Hill and Craig had moved on and they were replaced by Ricky Ball and Eddie Hansen. When Peter Woods left he was replaced by Paul Hewson, who had returned to New Zealand after a stint with Dragon. What the group now consisted of was three ex-members of Ticket, one from Dragon and Beaver. Internal clashes resulted in Eddie Hansen leaving and Dave McArtney, ex Hello Sailor coming in. With the band nearly settled down, Ricky Ball left and was replaced by Jim Lawrie, ex Street Talk. This new combination called themselves, the Pink Flamingos. With line-up now intact there was still one problem. Like many seasoned professional singers, Beaver suffered node problems. These tiny growths on the vocal chords are generally more of an irritation than a serious health threat, but following medical advice, Beaver decided to have them removed, a supposedly simple operation. She was advised to take just one month off work. Six months later she could still barely speak, let alone sing, and by the time she was able to return, the Pink Flamingos had forged on without her. 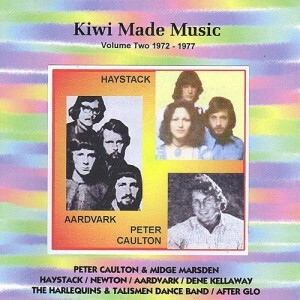 Now New Zealand’s number one band, Beaver had missed the Flamingos’ flight to the top. Beaver at the front with the All-Stars. 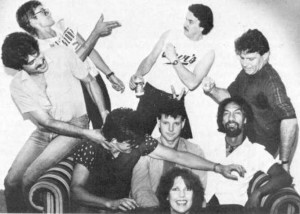 Beaver teamed up with Hammond Gamble for a short while, until Auckland promoter Paul Walker put together a make-shift band, in 1984, that played at the Windsor Castle and called them the All-Stars. It included a number of veteran rockers, including Beaver. In 1987 she released an album called “Live At Ronnie Scott’s” and as Beaver Storm a single called “Theme From Gloss” in 1988. Bruce’s story started in Invercargill in 1964 when he met Roger McLachlan and formed a duo called Rogers Dodgers. Playing mostly Beatles covers, in 1965 they added Lyall Baron on bass and Barry Withington on guitar. With this combination they started winning talent contests in the Southland area, including the Southland Talent Show. This led to bookings every weekend all over Southland playing mainly at dances. At that time they were also playing alongside other groups like Dave Kennedy and the Answer. Dave made his name a number of years later as a key member of Chapta and Link. When other touring New Zealand groups, such as the La De Da’s and Lou and Simon, ventured into the area, they got to play as support. This led the Southland Times to do an article and dub them “New Zealand’s Youngest Beat Group”. Roger McLachlan went on to later become the original bass player in Australia’s Little River Band in 1975. In 1969 Bruce shifted to Wellington to finish his schooling and after that headed back to Invercargill where he formed a three-piece group called Savage. With Russel Knipe on guitar and Tony Ross on bass, they started writing songs and had a big following at Invercargill’s ‘Mini-Club’. He returned to Wellington in 1972 and joined a heavy rock band called Heathen Grace. Members of that group were Richie Waitai on keyboards and saxophone, Paul Waitai on guitar, Wayne Tairoa on bass and vocals, and Evan MacGreggor on guitar, and Bruce on drums. They entered the Wellington Battle of the Bands competition that year and were successful winners. Venturing to Auckland to do the same, they weren’t quite as successful. Back in Wellington they were offered the residency vacated by the Quincy Conserve at the Downtown Club. The group stayed in residency there until they broke up. In 1975 Bruce joined a band from Christchurch, who had relocated themselves to Wellington. They were called Gratis Kinetic and the members were John MaCrae on vocals, Greg Mooney on guitar, Steve Galvin on bass, Murray Watts on organ and Bruce Aitken on drums. They signed up with Pye Records and released one single on the Family Label called “Takin’ All”/”Turn To Stone” in 1975. The group toured up and down the country for about a year, playing mostly at pubs and clubs. They were very popular in Palmerston North, playing often at the Awapuni Hotel. They also had a large following in Napier, New Plymouth and Christchurch. In 1976 Bruce moved to Queenstown for a few months to play drums for the Bill Whiting Band at the Skyline Restaurant. Following this he moved back to Wellington where he formed Wellington’s first jazz rock band called Raz, short for rock ‘n jazz. This group consisted of Bruce on drums and lead vocals, Paul Waitai on guitar, Neil Inwood on keyboards, Alan Burdon on percussion, Roland Farmer, who had previously been with the In-Betweens, on bass, and two backing vocalists, Peta and Olivia. They worked a residency at the Royal Tavern, sharing it with Malcolm Hayman’s Captain Custard. (Malcolm was ex-Quincy Conserve). Bruce and Neil Inwood wrote eight songs and Raz recorded them at Miramar Studios, but they were never released. Several more of Bruce’s songs were also recorded at Sausage Studios in Wellington and these also remain in the can. Bruce was asked to go to Australia in 1979 to play once more with the Bill Whiting Band, who had moved over there. They did several recordings of Bill’s material, but nothing came of it so the band folded. Bruce, staying in Australia, then moved on to work with underground band Banana Republic, but this was short lived. They also recorded lots of material but nothing ever surfaced. During the mid-eighties through to the early nineties Bruce played in mainly cabaret bands backing lots of recording artists and jamming with lots of his friends. One such band he played with was called Daddyo and they released a single called “Twenty Flight Rock”/”Don’t Pass Me By” that got its share of airplay. Daddyo consisted of Bruce on drums, also Jim Lawery on drums, Dieter Burmester on bass, Billy Hood on vocals and Blair Allen on guitar. After Bruce left Daddyo, he and Dieter Burmester formed a song writing partnership and recorded several songs. One of the songs, “Don’t Take My Monkey” was used by an independent film maker for a short documentary on bungy jumping. They also released “Tango Night” under the name Fat Cat, a group that consisted of Bruce and Dieter, Blair Allen from Daddyo on guitar, Annabelle Lentle on vocals, Peter Allison on keyboards and Greg Christiansen on backing vocals. The song had been recorded in Wellington and received a lot of airplay around New Zealand as well as in Dieter’s home land of Germany. They were invited to tour Germany, but by this time Annabelle Lentle had become Jordan Reyne and she was not interested. Bruce shifted to Melbourne in 1993 and shortly afterwards joined the Rosicrusians, who recorded a CD called “Skinny”. Bruce also appeared on one track of their second CD. After that he joined up with a legendary name in Australian rock, Lobby Loyde, to form Fish Tree Mother. They recorded several songs in Lobby’s home studio, but again nothing has surfaced. 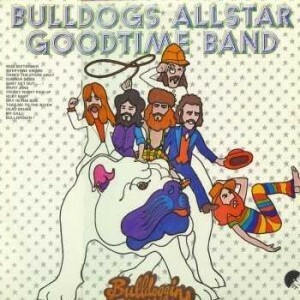 The Bulldogs Allstar Goodtime Band was formed in late 1972 by a bunch of Victoria University students. Their instruments included kazoo, tea chest bass and washboard. 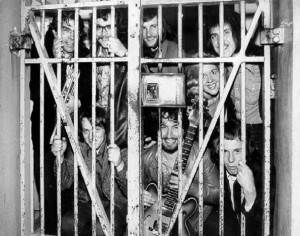 Their first gig of any note was at the Ngaruawahia Music Festival in 1973, but it took their 1973 ‘New Faces’ appearance, where they were finalists, to really kick off their career. With their ridiculous stage costumes, infectious humour, bouncy songs and Worboys’ foghorn voice, they couldn’t miss. In November 1973 they scored two massive hits for EMI, “Miss September” and “Everybody Knows” reaching number 2 and 3 respectively on the national charts. An album, “Bulldoggin” was released in June 1974 but it failed to sell, as did subsequent singles “Baby Get Out” and “Day In The Sun”. 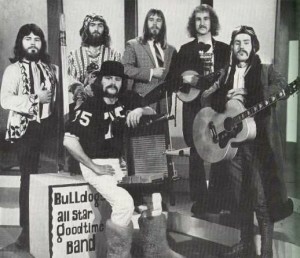 At year’s end they recruited songwriter John Donoghue, but the Bulldog’s time had already passed. In 1985 an album appeared, on which they contributed three tracks. The album was called “Something Old, Something New” and was shared with Hogsnort Rupert, Dave and the Dynamos, and Alec Wishart. Corben Simpson was a rather eccentric pop singer / songwriter who originated from Wellington. 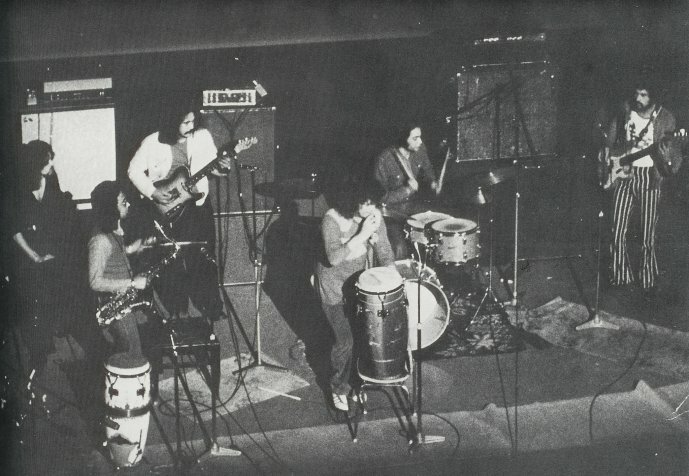 In 1971 Corben had been playing with a group called Movement, which included Tony Littlejohn, but the group folded and Corben was in need of a good drummer. Bruno Lawrence, having just completed a stint with Fresh Air, was asked to back Corben at some recording sessions. So Bruno joined Corben and Tony in September 1971 to create a trio called Littlejohn. Alan Moon, ex Sons and Lovers, was added to play keyboards in October. The group was primarily formed as a vehicle for Corben. They released some singles in 1971, and one song “Have You Heard A Man Cry” won Corben the 1971 APRA Silver Scroll, and in 1975 it also won a Golden Scroll for the best New Zealand composition of the previous 10 years. Littlejohn didn’t last too long as Bruno left to form Blerta, a group that all the members of Littlejohn ended up in. In the early seventies Corben spread his time between Littlejohn, doing some solo work and Blerta. In 1971 he released two solo singles on the Strange label called “Moondance”/”Up On The Roof” and “In The Summertime”/”Jean”. These two singles were included on his first self-titled album that came out in early 1972. 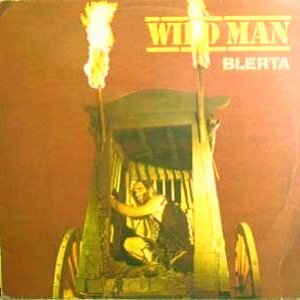 In the meantime he had become a founding member of Blerta and with them released a single called “Sailing”/”Misty Roses” in 1971. 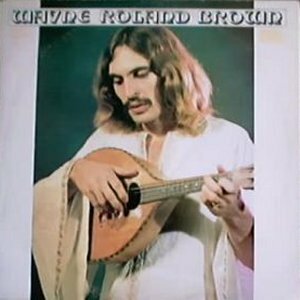 He had two more singles in 1972 by himself called “The Sky Is Falling”/”I Only know That I Love You” and “Caravan”/”Mystery Lady”. Corben performed at the 1973 Great Ngaruawahia Music Festival. He was the opening act and grabbed the headlines with a naked romp. In 1973 he released his second album on the Harvest label called “Get Up With The Sun”. From this album came the single “Running To The Sea”/”Kimberley (Song For Baby)”. After that he all but disappeared from the music scene, only to return in 1985 when Ode released a single of “Have You Heard A Man Cry”/”Mystery Lady”. 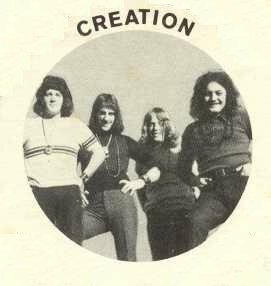 The Creation’s first single “Carolina”/Here In My Heart” was released in May 1972 and by June had peaked at number 7 on the National charts. “Carolina” was entered into the 1972 Loxene Golden Disk Awards where it won the group award. A follow-up single “Can’t Help Myself”/”Pearl” was not successful, not even getting a look at the charts. A self-titled album was also released in 1972. Little more was heard from the group until September 1973, when they released a remake of the old classic “Tell Laura I Love Her” with “Blind Boy” on the reverse. For some reason the song was even more successful than “Carolina”, reaching number 3 on the National charts. Three more singles were released during 1974, but none of them made the charts. 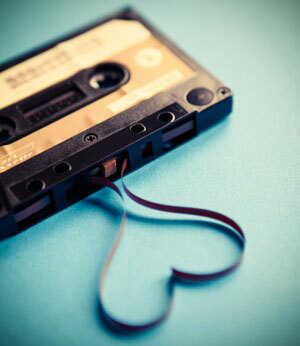 They were “Teeny Bopper”/”Windy City”, “24 Sycamore Street”/”Eloise” and “Start Again”/”If I Ever Dreamed I Hurt You”. That wasn’t quite the end of Creation. Radio stations in Sydney started playing “Tell Laura I Love Her” and in August 1974, almost a year after being released in New Zealand, the song had reached number 4 on the Sydney charts and number 20 on the Australian charts. The group was rushed over to Australia by Tom Robinson, but unfortunately there had been that many line-up changes since the song was recorded, there were no original members who had performed on the recording left. Greg Christiansen went on to record three solo singles between 1977 and 1980. The first two were on the Vertigo label and were “Marie”/”The Good Guys and The Bad Guys” in 1977 and “Smiley”/”Windy City” in 1978. In 1980 his last single was on EMI and called “Baby I Like It”/”If You See My Baby”. It was also released in Australia. 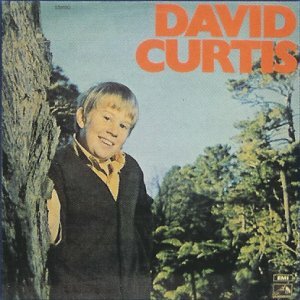 David Curtis stands out as being one of the youngest hit makers New Zealand has produced. He came to the attention of producer Alan Galbraith as a 13 year old school boy from Wellington. Alan heard an acetate of David singing four current pop songs, backed simply by a guitar. It was good, but the commercial value was still unclear. Alan persevered with David and a few weeks later “Wheel Of Fortune”/”When The Stars Begin To Fall” was released on the New Zealand market in October 1970. The result was an instant smash hit and a gold record. The single reached number 5 on the national charts, selling over 17,000 copies. This made David the youngest artist ever to feature on the New Zealand Top Twenty. “Wheel Of Fortune” also made it to the finals of the 1970 Loxene Gold Disk Awards. Over the next year he released two albums, the first self titled and the second called “Album Two”. From these albums, a number of singles were released, including “The Wedding”, “I’m Gonna Knock On Your Door” and “Someone To Love Me”. All of these did well locally but did not make the national charts. His next best success came in 1971 with a song that David composed the music for, while his mother provided the lyrics, “Take Your Leave”. The song won first prize in the song-writing section on TV’s Studio One competition and reached number 4 nationally. David also took the song to Japan where he represented New Zealand at the Yamaha World Popular Song Contest in Tokyo, winning one of the major prizes. Following this success and at the request of EMI in Japan, “Take Your Leave” was specially recorded in Japanese. 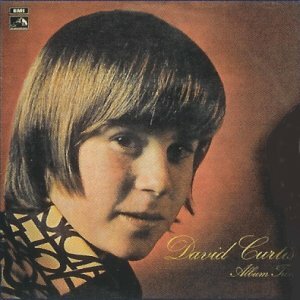 As always happens eventually with boy soprano’s, David’s voice broke and he quietly disappeared from the recording scene. In 1974 EMI released an album as part of their Portrait series, which contained songs from his two albums. In 1976 David showed up as a member of the Jo Michat Group, who were resident at Wellington’s Burma Motor Lodge. 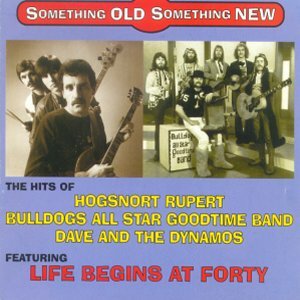 Another interesting name in that group was Dave Luther from Hogsnort Rupert. 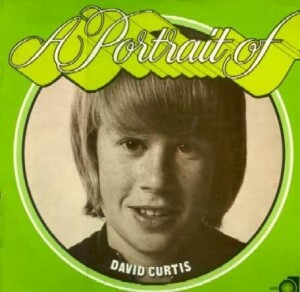 His love for performing made him determined to continue on a musical path, so after leaving school he attended a full time course at Wellington’s Polytechnic Institute, for three years studying arranging, composing and singing, but it would not be until 1983 that the name David Curtis would be heard again as he made a move to Auckland, joined the Lew Pryme Management Company, and sang on some radio jingles while also performing in several musicals, including Grease and Jesus Christ Superstar. In 2003 EMI released a Very Best Of CD, which also contains the Japanese version of “Take Your Leave”. Desna Sisarich was one of New Zealand’s first singer / songwriters. She originated from New Plymouth before relocating to Wellington. While in New Plymouth she was the vocalist in a group called the Nitelites, taking over the spot vacated by Lew Pryme. Desna appeared on television’s “Studio One” and sang her own composition, a blues-type ballad called “Season Of Sorrow”. In 1972 she released a single on HMV called “Thought He Was A Friend Of Mine”/”Something In The Morning” and followed this in 1973 with a single on ODE called “Take My Life”/”Lay My Weary Head”. She didn’t record much material, but was particularly popular as a live performer. In November 1972, EMI promoted a concert at the James Hay Theatre in Christchurch. Desna performed there along with Blerta, Quincy Conserve and Lutha. 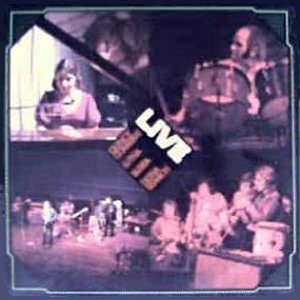 The event was recorded and released early in 1973 as an album called “Live”. Desna contributed three tracks to the album. Her only other solo recorded output was the A-side of a single for Philips in 1976 called “You’re Our Way – Naturally New Zealand”. She did join in on a single called “I Believe In Music”/”Brand New Day” with Corben Simpson, Anna Leah and Robin Simenauer in 1973. 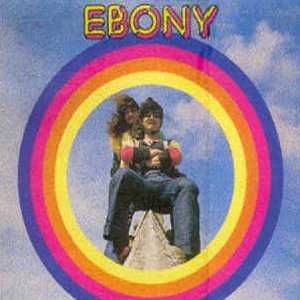 Ebony were a Wellington pop duo consisting of Stefan Brown and Don Wilson. 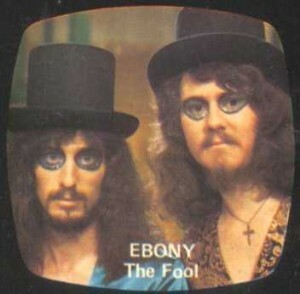 There first single on Philips was “The Fool” in 1973. It was an entry on “Studio One Hits” that year. Switching to Polydor the next single, also 1973, was “Big Norm”/”Tavern Girl”. The song “Big Norm” was written about Labour Prime Minister Norman Kirk, an extremely popular leader and a big man with a big heart. The single peaked at number 4 on the National charts in January 1974. In 1974 a self-titled album was released and from it came two singles, “Laze In The Morning Sun”/”P-A-R-T-Y” and “Everyone’s Heart Gets Broken”/”Colours Of The World”. They later evolved into a group by adding Simon Morris on bass, Kerry Jacobsen on drums and Steve Robinson on guitar. 1976 saw their last single on Ode, “Don’t Boogie Mr Tango”/”Slacker”. Kerry was then to soon show up in Dragon. Their first single for Polydor in 1970 was “Learnin’ ’bout Living”/”Da Woirks”. It was successful enough to gain entry in to the 1971 Loxene Gold Disk Awards. A self-titled album was also released and came in a plastic bag with a poster. A second single “Nothing’s Happening Here”/”Me, The Dog, Ma And Dear Ol’ Dad” also came out in 1970 and was included on their second album called “Back To Fronting” released in 1971. 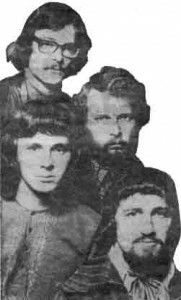 Their third and last single was “Which Way Confusion Part 1″/”Which Way Confusion Part 2”, taken from their first album and appeared during 1971. 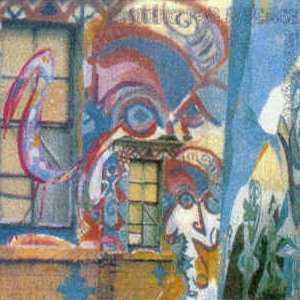 Both of their albums were repackaged in 1991 into a double album called “Looking For A Place” on the Little Wing label. That album appears below. Highway in 1970, clockwise from top left, Jim Lawrie, Phil Pritchard, George Limbidis and Bruce Sontgen. George Limbidis and Phil Pritchard had spent the later part of the sixties in Australia and when they returned to their hometown, Wellington in late-1969, Phil had a very short stint with a group called Retaliation, before George and Phil decided to form an underground band, to play original material. 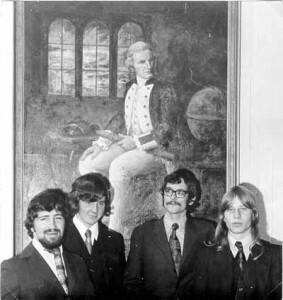 A friend of Pritchard’s, Jim Lawry joined them. Jim was previously playing with Serenity Fair from Northland. They began serious rehearsals as a band and at the beginning of 1970 they added Bruce Sontgen as their vocalist. Bruce was currently the vocalist for Tom Thumb and had previously been with the Boddys, the Layabouts and Apple. They called themselves Highway and after continuing their serious rehearsals for another six months they finally made their debut at the Mickey Mouse Club in Wellington in August 1970. This was followed a week later with a headlining performance at the University Arts Festival concert at the Paramount Theatre. They went across very well to the capacity crowd and with that performance they became the hottest band in town. They took up a residency at Lucifer’s for the next few months. In January 1971 they took a two month break and headed to a farm in the Wairarapa to put together a new repertoire of songs. On their return they had added a new member to their line-up. He was George Barris, who had a strong background, having played with the Bitter End, the Underdogs, Jigsaw, Fresh Air and Troubled Mind. This new line-up debuted at Victoria University in March and released a single for HMV called “The Time Is The Time”/”What You’re Doing To Me”. The Universities Arts Council then organised a national tour of Universities. This was the first tour by a New Zealand band and was a huge success. They then moved back to Lucifer’s and performed to packed audiences every time. In August 1971 came the University Arts Festival in Palmerston North, where Highway filled the support slot to Australia’s Daddy Cool. Ross Wilson from Daddy Cool loved them and suggested that they should try Australia. Before going to Australia, the band spent time in the studio and produced a self-titled album which was released around October 1971. The album, while good, was only a representation of the music they were doing at that time. No sooner had they recorded it and they were working on a new batch of songs ready to play in Australia. Highway flew to Melbourne at the end of the year and found a manager almost immediately. He was Michael Gudinski, who was well placed in the Melbourne music industry. He was the same Michael Gudinski who would later go on to form Mushroom Records. He organised some good gigs and they were soon playing to large audiences at the Myponga and Sunbury festivals. They continued to play well, but their style of music was different to most of the other groups that were playing at the same time. While they did manage to gather a small following of fans, it wasn’t enough, and Gudinski was unable to secure them a recording contract. Always on the road with little time for rehearsal and songwriting, they soon began to lose interest. Highway disbanded in mid-1972. The group did reform in Wellington towards the end of 1972, but without Barris and Sontgen. They did add Dave Brown on saxophone, but lacking a strong vocalist, they ended up being basically an instrumental outfit. In 1973 they changed their name to Danny Douche and the Pelicans, which was a 50’s rock and roll covers band. While extremely different from their roots, it did give them more work than they were getting. They only lasted a short time and with the members not really being happy, soon broke up for good. Marg Layton is one of New Zealand’s foremost blues performers. Born in New Zealand’s Deep South, Marg began her musical career in the folk music café scene of the late 1960s, first in Christchurch, then in other parts of the country. Throughout the seventies and eighties she performed at every major folk venue, mixing traditional and contemporary folk songs with a growing interest in blues and gospel. During this period she opened concerts for such international touring artists as Country Joe McDonald, Don McLean, Odetta and Tom Paxton. A visit to the United States in 1980 led to a meeting with The Grand Old Lady of the Blues, Alberta Hunter. The recently rediscovered 1920s blues legend provided new inspiration and led to a greater emphasis on the blues in Marg’s repertoire. Since then she has taken the music of her blues heroes and heroines the length and breadth of New Zealand, and appears regularly at major arts and music festivals. Recent appearances have included The 2003 Manawatu International Jazz and Blues Festival, Wellington’s 2004 Cuba Street Carnival and the Wellington Jazz Club in June 2004. Marg specialises in concert performances, drawing on a variety of styles from sophisticated jazz settings to raw, earthy country blues, and occasionally reverts to her first love, traditional and contemporary folk, for contrast. Marg has been based in New Zealand’s capital city, Wellington, since 1973. With more than three decades of live performance to her credit, she continues to attract and work with the crème de la crème of New Zealand’s blues, jazz and folk musicians. 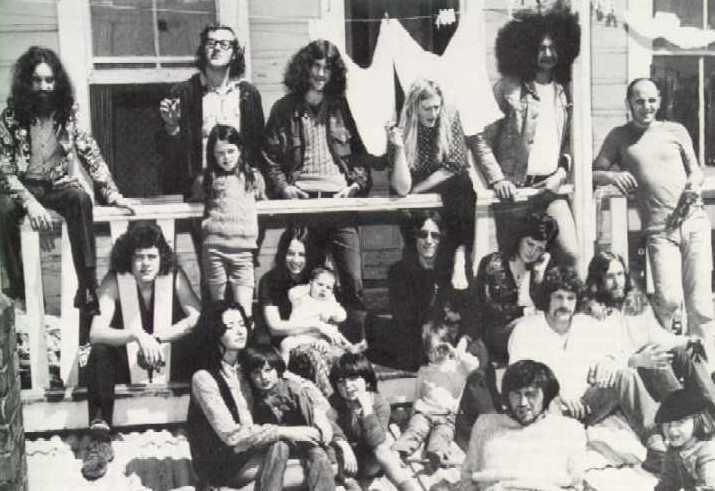 The Moving Folk were a folk group who originated from the Upper Hutt, just north of Wellington, around 1970. 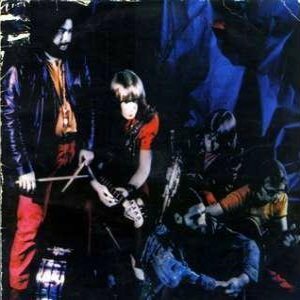 They released an album called “Directions” and a self-titled EP in 1970 for the Kiwi label, before switching and becoming one of the very early signings for the Ode label. For Ode they released their second album called “This World Goes ‘Round and ‘Round”, also in 1970 and from this came four singles over the next year, along with the group’s second EP, also self-titled, which contained four songs from the album. 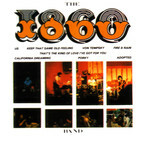 The group released one more EP called Lullaby” in 1971 from which another single was issued. The Natural Gas were from Wellington, but like a lot of groups around at that time, they didn’t last too long. They were a hard-edged blues band who suffered from a shortage of suitable venues at which to play. The group rose from the ashes of the Breed in 1969. They did have the honour of winning the Wellington heat of the 1970 Battle Of The Bands competition. There was only one single produced by the group and that was “Come On Down Girl”/”Lucille” on the Thyme label in 1970. The single was banned by Radio New Zealand because of its suggestive lyrics and even with the banning publicity, the single failed to sell. Farrell had a number of compositions which he was keen to have included in the repertoire, but during rehearsals he soon learnt that he wasn’t the only songwriter in the group. His Little Feat inspired compositions had very little in common with the original compositions of Fane Flaws. Very quickly it became apparent to Rick that the line-up was not going to work, and he was forced to ask Fane to stand down. 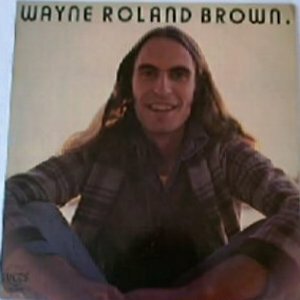 Wayne Roland Brown was a Wellington singer songwriter. His first recordings were in 1975, where he released two albums on the Strange label. The first was self titled “Wayne Roland Brown” and the second was “Fast Mover”. These two albums were also packaged together as a double album the same year and it was released as “Chairs, Shoes and Songs Of Comfort”. 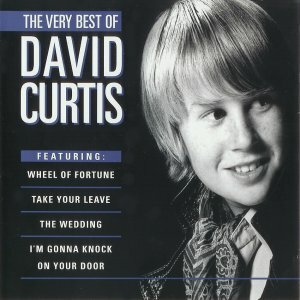 He went quite for a few years until 1980 when a move to RCA saw the start of four more albums over the next two years. The first was “Stealer Of Hearts” in 1980, and this was quickly followed by “On The Road” the same year. 1981 saw “Trick Of The Light” and in 1982 came “Fools and Pretenders”.